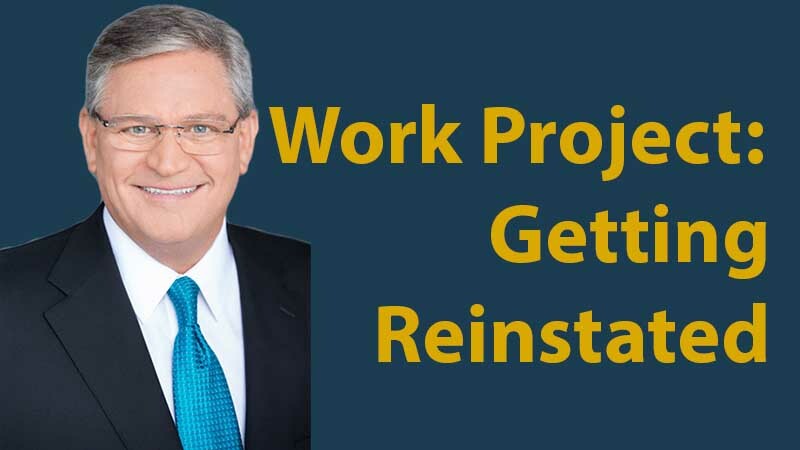 How do I get reinstated to Work Project in Sacramento? So, you’ve missed the sign up date for Work Project in Sacramento or even the later turn in date to jail at Rio Cosumnes Correctional Center (RCCC), if you failed to get approved in time. Maybe you intended to sign up for Home Detention or Work Furlough and were late for that. Perhaps you were given a referral to do Community Service Hours and failed to get down there in the 15 days they say you have. Can this be fixed is a question I hear all too frequently. In other words, How do I get reinstated to Work Project in Sacramento? If you go to court, they’ll tell you there is a Sheriff’s Warrant (SOC Warrant) and there is nothing they can do about it. There is hope, so don’t just go into hiding. Don’t flee the country thinking that the Sheriff is going to race out and roll you up. Call the Law Office of Denis White at (916) 444-3300 and see if we can help you get back into the program without the threat of jail. You see, the Sheriff’s Alternative Programs don’t want to have to go find you, the jails are full and it costs more to house you there too. There are sweeps from time to time, where law enforcement and probation goes out and picks up as many people as they can find. This is especially true with DUI offenders. Still, after my visit to 700 North 5th Street today, 9/7/18, I’m convinced that I can assist you in getting into the program you originally signed up for without going to real jail and doing hard time. So, to answer the title of this Blog, How do I get reinstated to Work Project in Sacramento, you call us at (916) 444-3300. This is also true of the other Sheriff’s Alternatives like Community Service, Home Detention and Work Furlough. The more time that passes, the more difficult this may be, so don’t wait any longer than you have to. If you get my office involved, we will make the phone calls for you to find out what can be done. This saves you the anxiety of going to the Sheriff’s Office or Jail and finding out at that moment whether you have to do the time in Jail.